It's All About the Fun and Power of Reading! 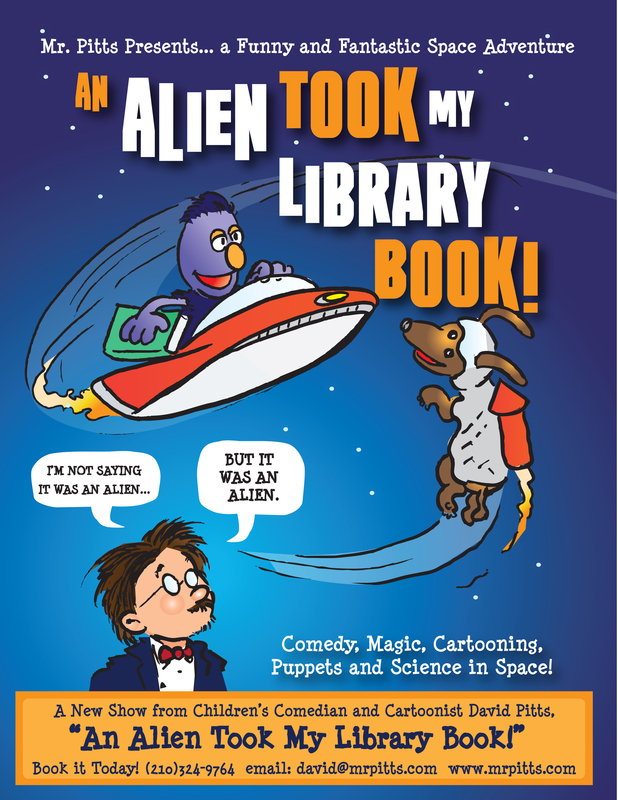 Frank the Wonder Dog and Todd the Alien star in this hilarious story of space travel, science, and lost library books! 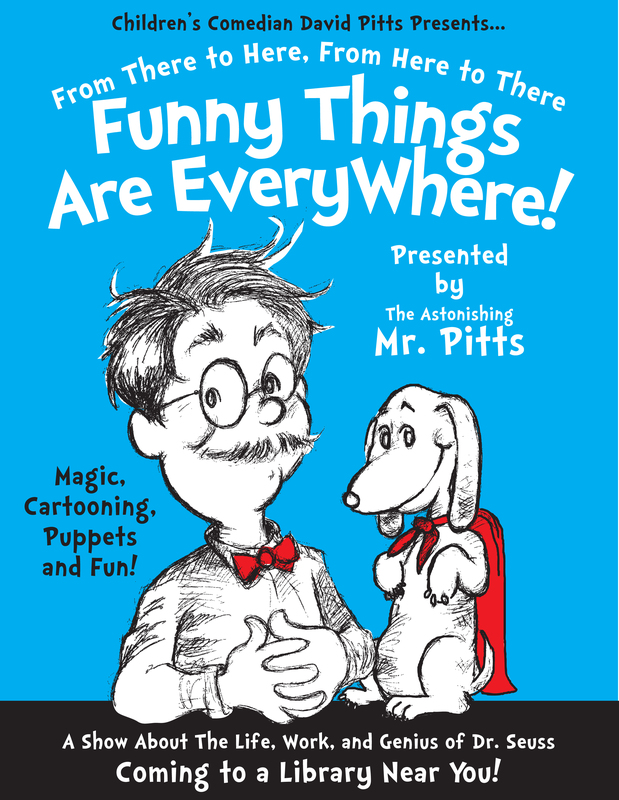 This presentation includes amazing magic, hilarious puppets, cartooning and fun for all ages! This fast paced show is all about the impact of reading and the wonderful worlds that libraries can open for young readers. Lessons in honesty, fairness, imagination and fun are all part of the wonderful books of one of the greatest children’s authors and illustrators ever. This comedy, magic, ventriloquism and cartooning show is all about the life, work and genius of Theodore Seuss Geisel, known to the world as Dr. Seuss! This presentation is perfect for Read Across America month or any time of the year! Frank the Wonder Dog can’t find his library card and he thinks it was stolen by the Evil Dr. Sketchy, but was it? It’s a mystery that can only be solved with a lot of imagination and the help of the audience. 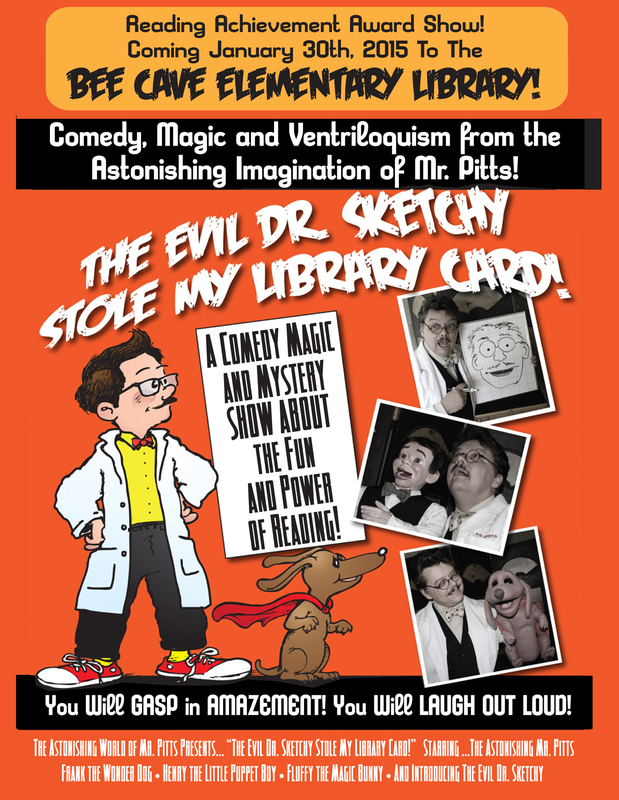 This fun and funny presentation includes lots of magic, ventriloquism, cartooning and audience participation, plus lots of fun facts about libraries and the power of reading! Thank you so very, very much and I’m hoping you can come back again next year. The kids loved you and your puppets. You we’re GREAT! Mr. Pitts came and gave two back to back presentations for us, one for elementary age and the second one was for all members of the family. He responded to the audience, got them interacting and made the children laugh. I think he did an excellent job and I would definitely recommend him! I just wanted to let you know that you did an OUTSTANDING JOB with our little ones. The teachers all had positive things to say about your performance. I am definitely going to invite you back! Contact Us for More Information About Our School and Library Shows!